Since 2016, Prateek has been focusing on building Digital Defynd into a global digital learning recommendation platform. Professionals can discover the best courses, training programs and certifications around a variety of subjects such as Artificial Intelligence, Digital Marketing, Web Development, Cyber Security and much more. As one of Asia’s Leading Digital Marketing Trainers, Prateek has over the years has empowered thousands of professionals in the domain of digital marketing. 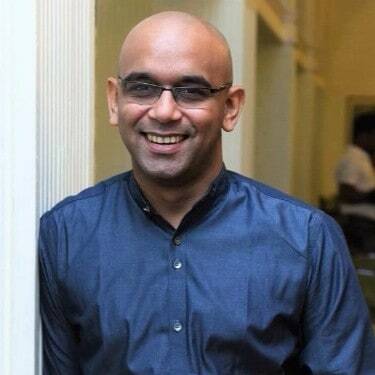 He has been a partner trainer with Digital Vidya, Google India, Confederation of Indian Industries, Intracen Sri Lanka (United Nations – WTO), BCG (Boston Consulting Group) and Knowledge Engineers UK. Now while that was a formal introduction, in true digital marketing style, here are 5 interesting things about Prateek! 1. Prateek is regularly invited to speak at conferences and train professionals globally. 4. He founded Digital Defynd, the community of Digital Marketers which is one of the largest in Asia and has over 20,000 members.